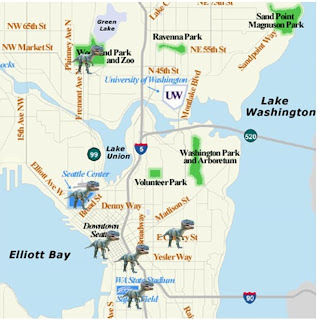 Our limited-engagement “Dinosaurs. Real Close.” exhibit opens this weekend! 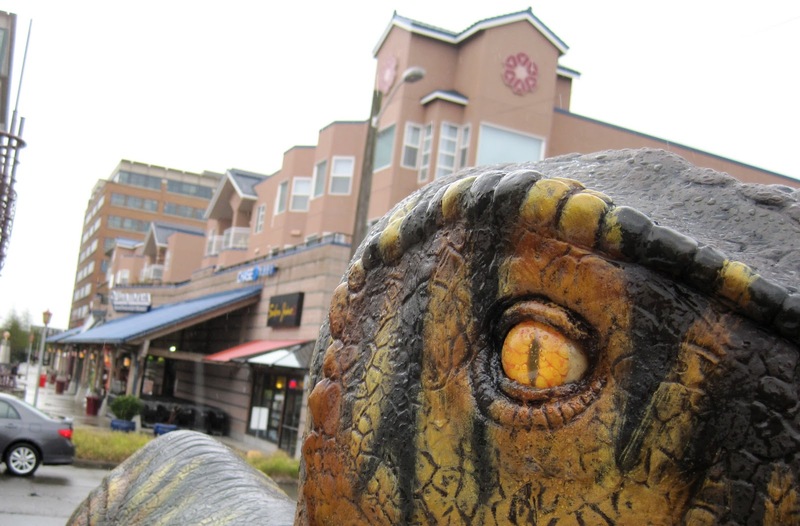 We’d like to introduce you to the cast of characters you will encounter when you step back through time for a Mesozoic meetup with friends and family in the new exhibit. Brachiosaurus was one of the tallest and largest dinosaurs at about 42-feet tall and 100-feet long. 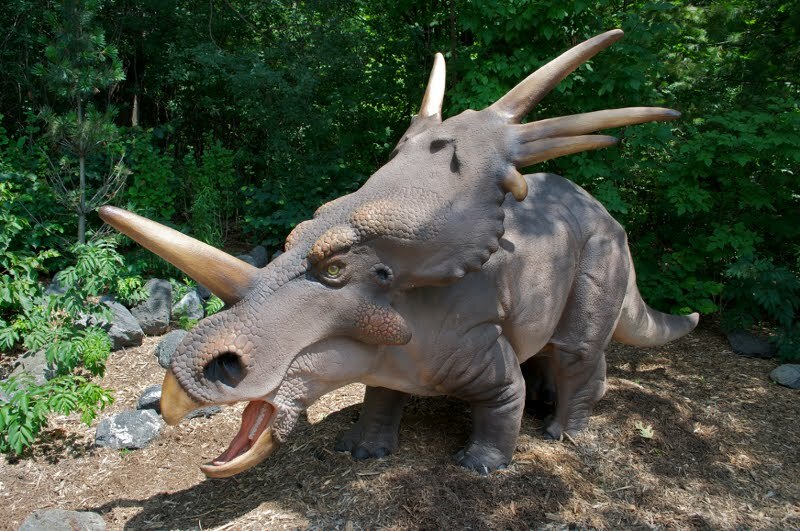 This late Jurassic vegetarian weighed in at 50 tons, which is equivalent to around 20 African elephants! 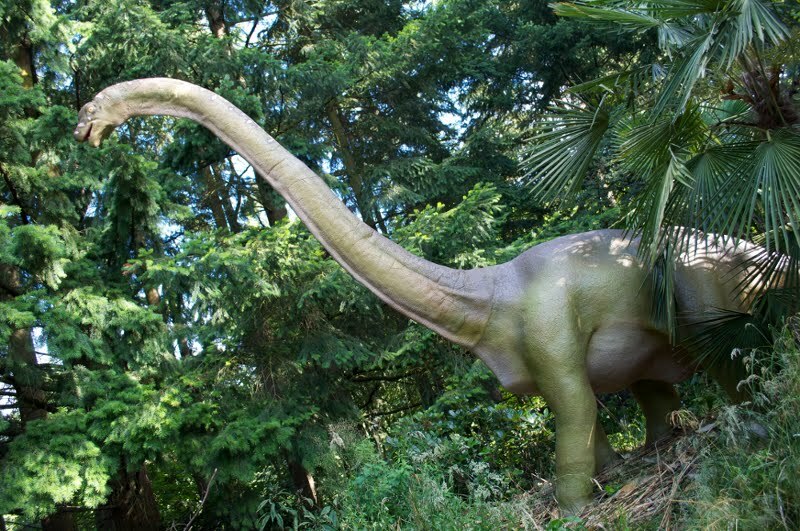 If the Brachiosaurus sounds a bit gassy when you encounter it in the exhibit, consider how much food it must have had to eat every day to keep up its size—which also explains why fossil evidence suggests its poop could weigh more than a small car! 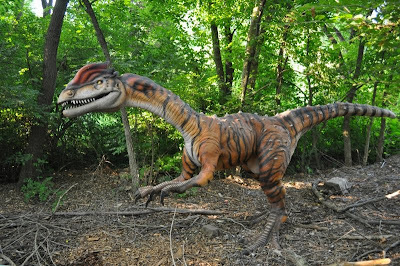 The crested Dilophosaurus looked fierce, but scientists tell us they likely appeared scarier than their bite. 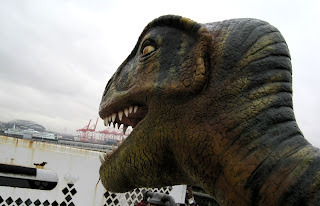 Dilophosaurus teeth and jaws were too weak to bring down or hold large prey. More likely their sharp claws and opposable thumbs would have been their main defense and most useful tools for scavenging and fishing for food. 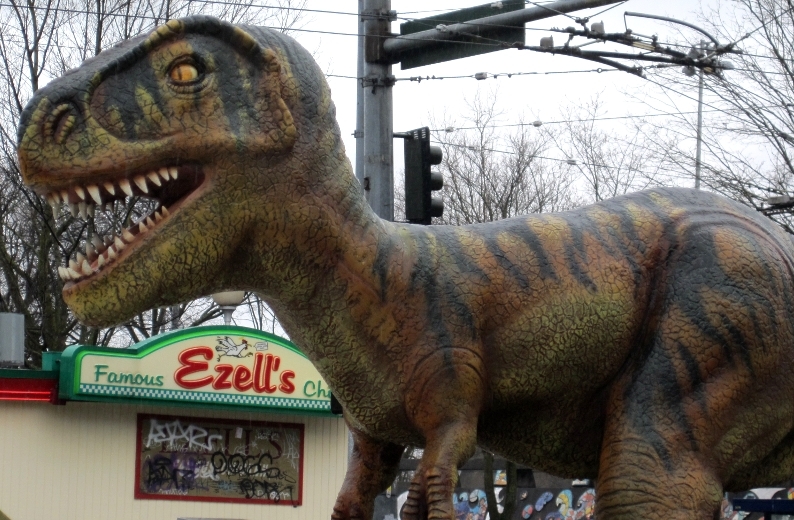 Ahh, the cheeseburger of the Mesozoic. Edmontosaurus was good, fast food for a number of predators in its Cretaceous days. 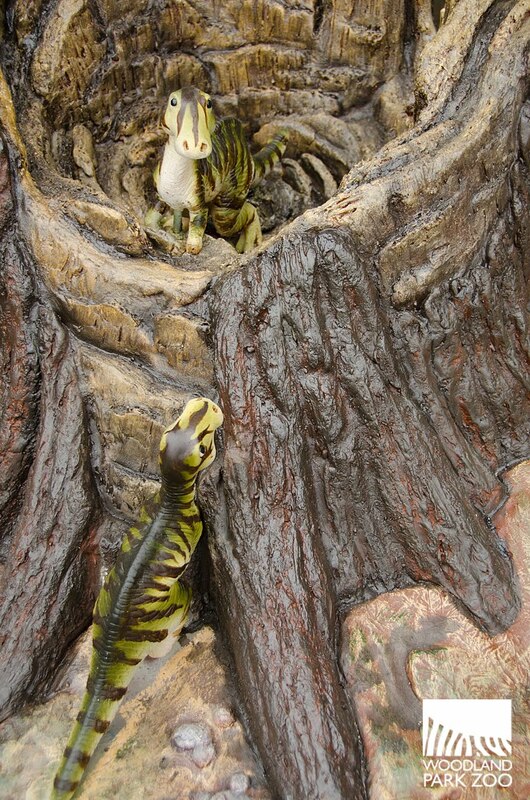 Fossil evidence shows us that this duck-billed dinosaur had wobbly little hatchlings that may have stayed in their nest for nine months after coming out of their eggs, following their mother like 4-foot-tall ducklings! 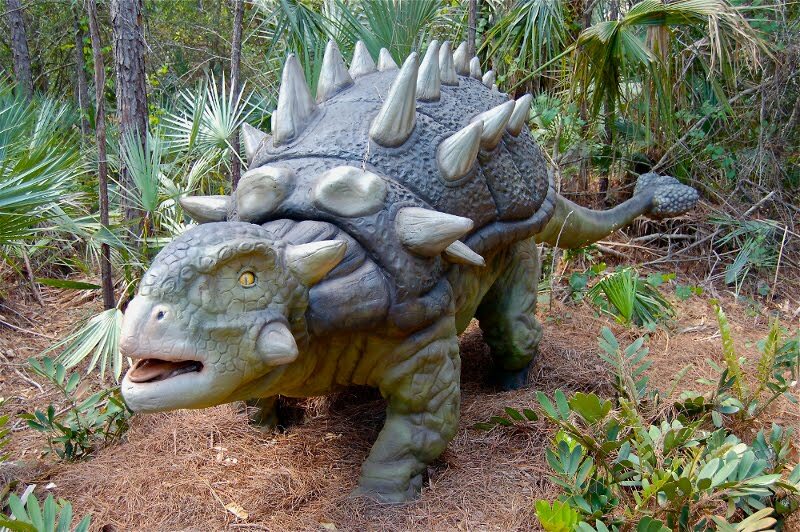 The herbivore Euoplocephalus was well armored and clubbed-tailed with a mass of bony plates fused over its back as protection against predators. Even its eyes had armored shutters! The underbelly was the only part of the body not protected. Like other duck-billed dinosaurs, Parasaurolophus had a hollow head crest that is believed to have been used as a resonating chamber to produce a distinctive call to other members of the herd. 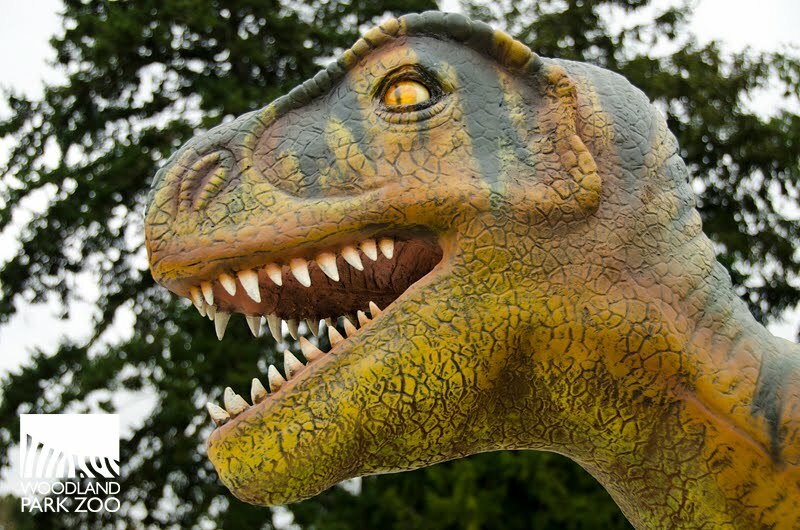 It may have played a role in mating and courtship. 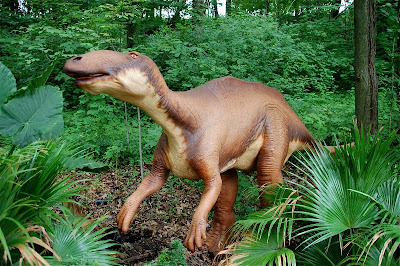 This unique dinosaur was slow moving, four legged and—amazingly—able to stand up on its rear legs in order to run or perhaps to browse higher branches of trees. Seventy-five million years ago, herbivore Styracosaurus spent most of the day beak to the ground, nibbling on ferns. Researchers think that if a herd were under attack they may have surrounded their young as musk ox will do to create a defensive circle to intimidate the predators. The appearance would be formidable since they sport the largest horn of any dinosaur, and the neck frill would have added even more size to the fierce wall of heads. 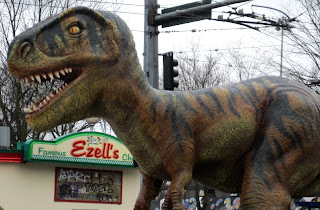 We all know Tyrannosaurus with the little arms, big head and massive bite. 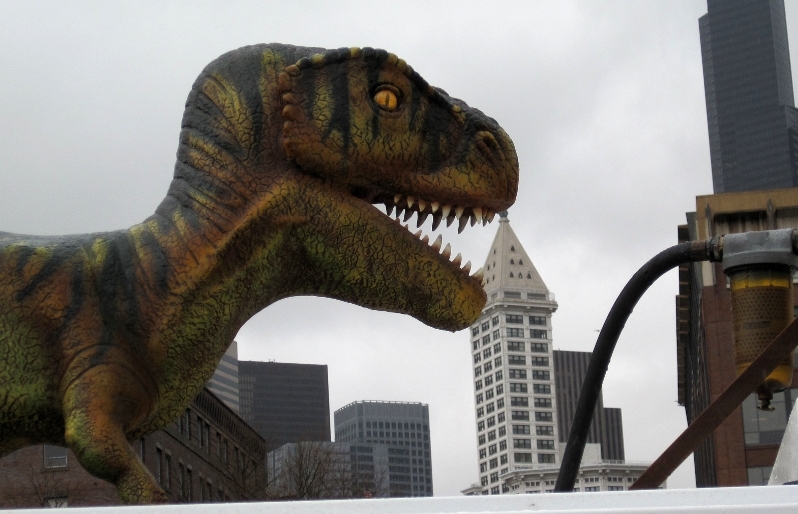 An adult was 40 feet long, weighed about 6 tons and was roughly 12 feet high at the hips. 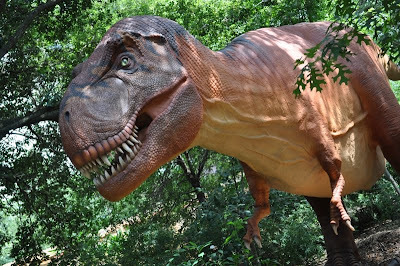 They hunted with an acute sense of smell, 3-D vision and were powered by huge hind legs making them very agile and just fast enough to catch their prey. There’s a point in the exhibit where you will stand between a mother T. rex and her baby…perhaps the most dangerous place to be in all of prehistory! 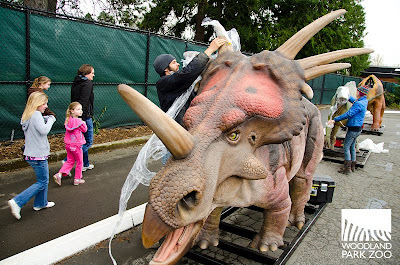 With keeper chats, dinosaur biofact exploration, and a dino robot you can try your hand at operating near Zoomazium, you’ll be able to dig even deeper into the science of dinosaurs and find connections to some of the living species at Woodland Park Zoo. 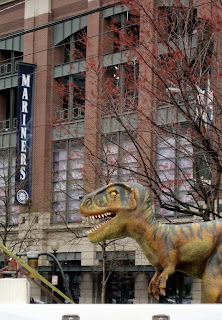 Remember, the “Dinosaurs. 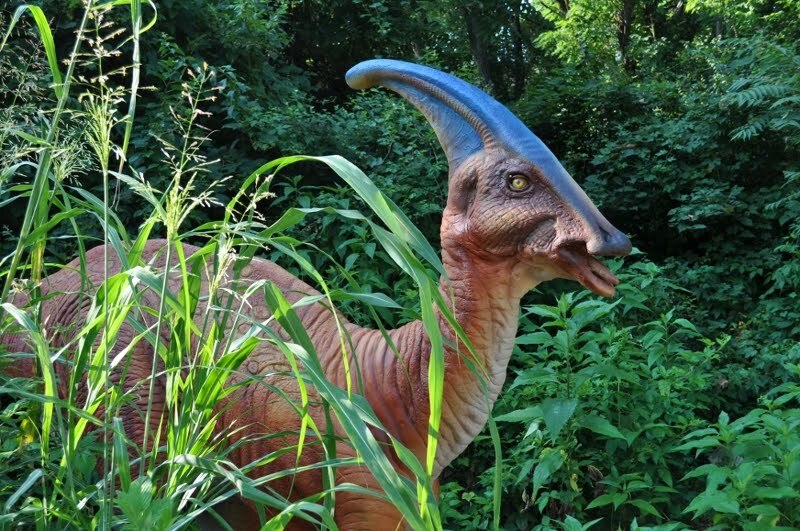 Real Close.” exhibit is $3 in addition to zoo admission or membership. Join us during opening weekend April 30 and May 1 and you’ll enjoy free, unlimited carousel rides courtesy of Seattle City Light! 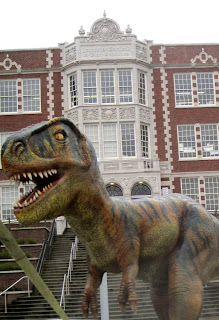 The dino exhibit, presented by U.S. Bank and The Seattle Times, opens April 30 and runs through September 5. Photos courtesy Billings Productions, Inc. 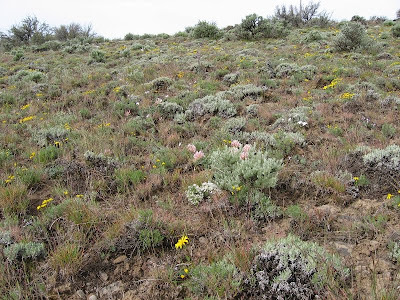 The 2011 field season for Raptor Ecology of the Shrub-Steppe is just beginning, but it is a good time to reflect on the past season and the fresh outlook a new spring will bring. Many raptors will be returning to their nests after a long-winter, rejuvenated and prepared to start the nesting cycle again. 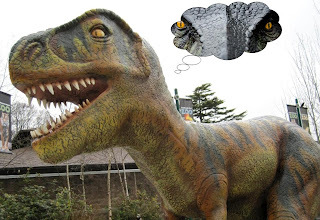 Sadly, some raptors won’t return to their nests this spring as they may have in previous years, not having survived the challenges created by humans and natural hazards in their environments. I’d like to relate a short story that honors the contribution of a particular ferruginous hawk to our research and illustrates how difficult survival is for these birds. In 2006, as part of our migration ecology research, I worked with Dan Svingen, USFS biologist on the Dakota Prairie Grasslands, to capture and satellite-telemeter an adult male ferruginous hawk #47839 in the very southwestern corner of the state. The bird (pictured above) was a particularly vocal and aggressive male we dubbed “Charlie” after we captured and released him. In the next five years Charlie provided more than 17,000 satellite locations and four complete seasons of migration monitoring. Charlie nested and produced young every year, providing for his family through a steady diet consisting primarily of small mammals. Ferruginous hawks are historically known as squirrel hawks. Early last year Charlie was perched on the north part of his range and when I checked his satellite locations he was not moving. I asked a biologist from North Dakota to check the location and she recovered his carcass. He had been shot in the shoulder, lived a couple days but then died. 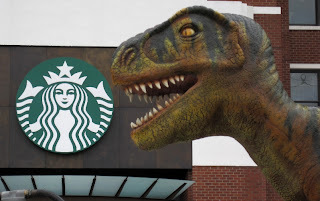 Unfortunately, there is still a problem in some places, including the Dakotas, of shooting raptors. In the Dakotas such poaching is from the belief that it protects pheasants, a prized game bird. But the reality is that ferruginous hawks don't feed on pheasants—they do eat small mammals (primarily squirrels, rabbits and pocket gophers) though, which actually makes them friends of the farmers. This was a sad ending to a magnificent bird, but I relate the story to illustrate our need to understand shrub-steppe raptor mortality factors and survival, and to emphasize the importance of educating those without an understanding of raptors’ place in the shrub-steppe ecosystem. The ferruginous hawk is a species at risk and declining in North Dakota. The better we understand its range, its behavior and the risk factors out there, the better we can protect it. Photos (from top): Magnificent Charlie by J. Watson/Washington Department of Fish and Wildlife; Shrub-steppe courtesy Washington Department of Fish and Wildlife. 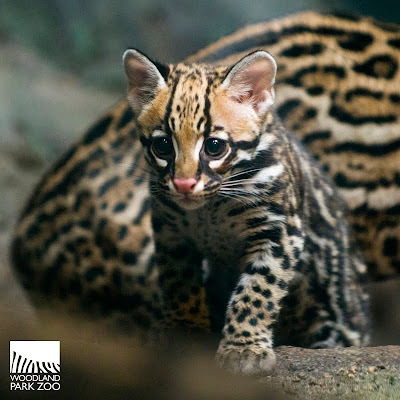 Three-month-old ocelot kitten Evita took her first steps out into her Tropical Rain Forest exhibit yesterday morning. 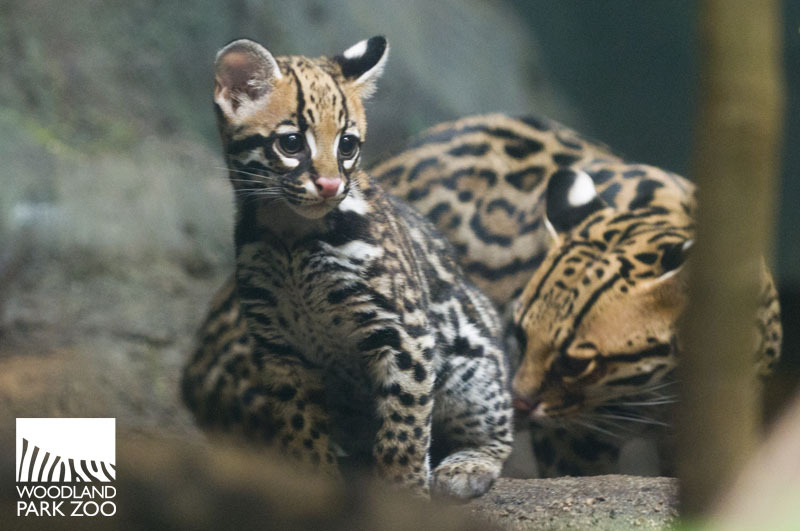 Evita has been bonding with mother Bella in a behind-the-scenes area since her birth in January. Yesterday marked the first time the kitten was given access to her full exhibit. Her entry into the exhibit was tentative. 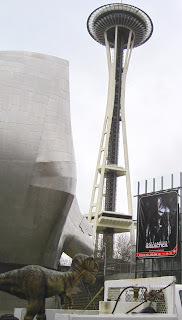 She would climb the ramp that connects her behind-the-scenes space with the enclosure, poke her head into the exhibit and look around, but then retreat to her den behind-the-scenes. 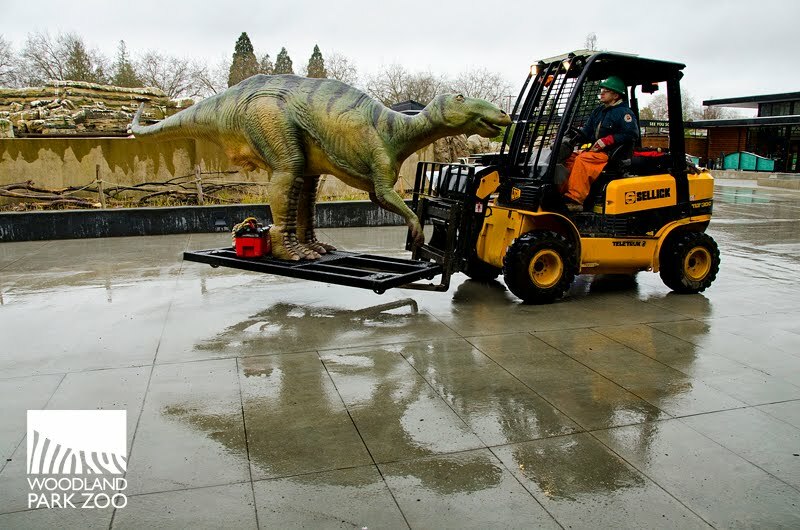 After a few of those false starts, curiosity took hold and Evita eventually followed the calls of her mom and she entered the exhibit space. Evita stayed close to her mom the whole time as she explored this new place filled with plants and dirt and mist from above. Evita spent most of her first hour looking around, taking in her new surroundings. This first day of introductions to the exhibit went well, but Evita is not yet full-time in the space. Keepers will be encouraging mom and kitten to explore the exhibit a bit more each day. At this early point, there is no guarantee when to see the ocelots as there is no way to predict when they will feel like going into the exhibit. Once we have a firmer sense of good viewing opportunities, we’ll be sure to share! Take a sip for a cause. Pick up a bag of the all new Zoo Special Reserve coffee at any Seattle Caffé Vita store and your daily cup of home-brewed joe will support Woodland Park Zoo and our work in animal care, conservation and education. That’s because for every bag of Zoo Special Reserve purchased at Caffé Vita, $1 will be donated to Woodland Park Zoo! 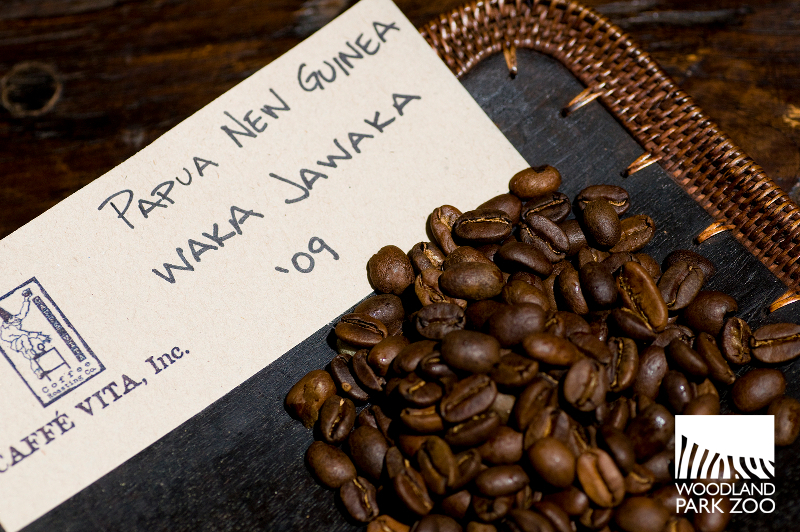 The Zoo Special Reserve coffee is well-balanced with aromas of cocoa and hazelnuts. It has a smooth, clean and sweet flavor. But more than being good to drink, it’s also good to the planet. The eco-friendly coffee originates from a farm in the Santa Rosa district of Guatemala and is shade-grown, organic and Rainforest Alliance-certified. 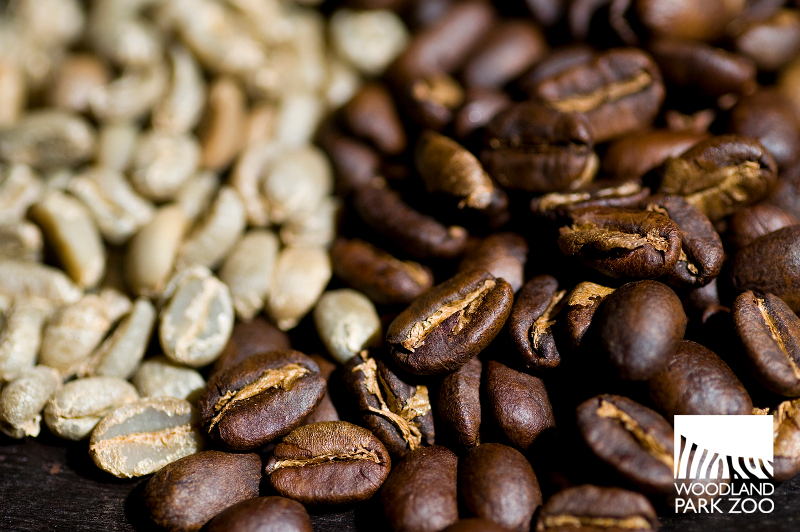 The farmers who grow this coffee promote biodiversity by setting aside over forty percent of their land as a nature reserve, which protects the habitats of native tropical animals and birds such as gray foxes, armadillos, anteaters, parrots and butterflies. 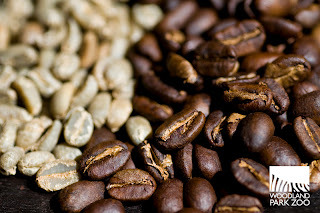 The Zoo Special Reserve coffee beans were sustainably farmed using innovative systems of composting, recycling and water conservation under the belief that healthy, organic soil and diverse shade cover produces superior coffee. Switching to an earth-friendly coffee choice is one of the simple, everyday conservation actions we recommend to zoo fans who are looking to reduce their impact on the planet. Big thanks to our partners at Caffé Vita for helping us to make this great, earth-friendly coffee available to our community and for helping to support our mission. Our partnership with Caffé Vita continues when they travel with Woodland Park Zoo’s Tree Kangaroo Conservation Program (TKCP) to Papua New Guinea (PNG) this June. TKCP works with indigenous landowners in Papua New Guinea to improve community livelihoods while protecting biodiversity and the habitat of the endangered Matschie’s tree kangaroo. 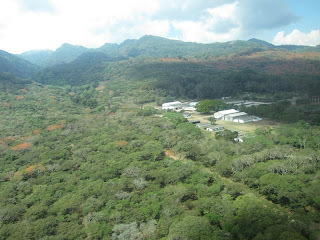 Caffé Vita will join TKCP in the YUS Conservation Area to provide expert advice to villagers who have begun to farm shade-grown coffee for possible export through TKCP’s livelihoods program. Though coffee has long been grown in YUS region, rugged terrain and high transport costs have historically prevented a viable coffee market from developing. 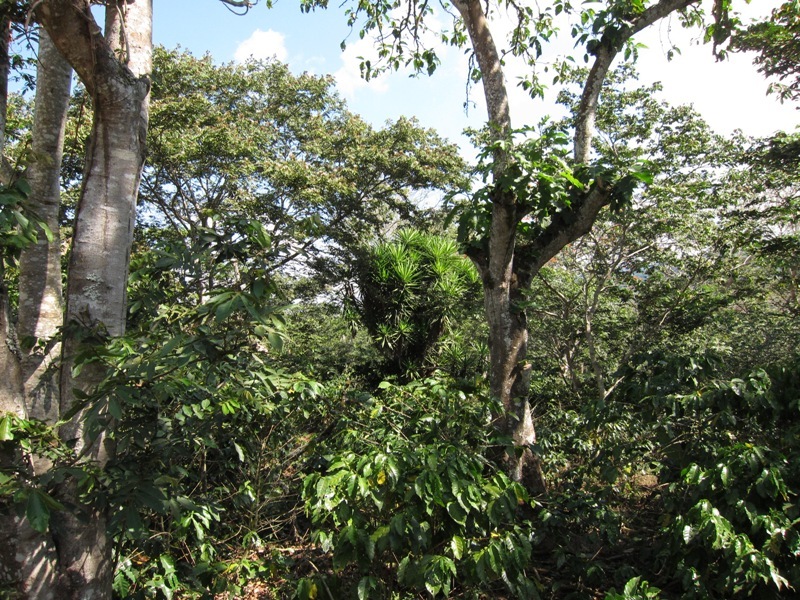 TKCP is working to transform coffee growing into a reliable income source for YUS landowners pledging land to conservation by helping to bring YUS coffee to U.S. markets in the coming months. If you want to help support community conservation in Papua New Guinea, text ROOS to 20222 to donate $5 to Woodland Park Zoo’s Tree Kangaroo Conservation Program. Messaging and data rates may apply. For details visit http://www.zoo.org/textROOS. Photos (from top): Ryan Hawk/Woodland Park Zoo, Daniel Shewmaker, Daniel Shewmaker, Zachary Wells/TKCP, Zachary Wells/TKCP, Ryan Hawk/Woodland Park Zoo. 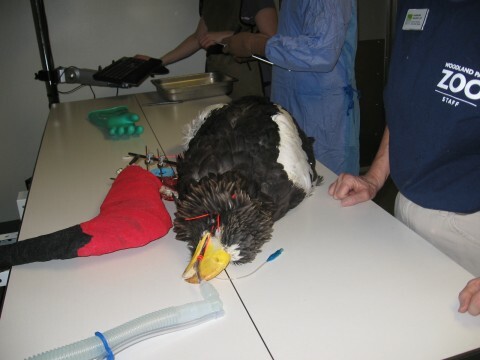 Maybe it is just coincidence that “aguila” means “eagle” in Spanish, but when a Steller’s sea eagle from Woodland Park Zoo needed specialized surgery for a fractured bone, Dr. Alexander Aguila of the Animal Surgical Clinic of Seattle was ready! 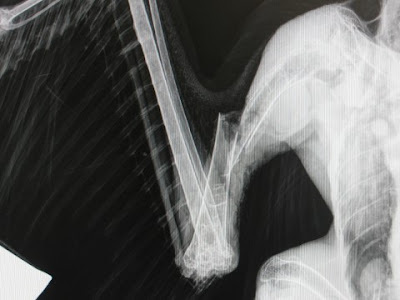 On March 23rd, Dr. Darin Collins, Woodland Park Zoo Director of Animal Health, contacted the surgeons at Animal Surgical Clinic of Seattle regarding a potential fracture repair on the right wing of a Steller’s sea eagle named Natasha. 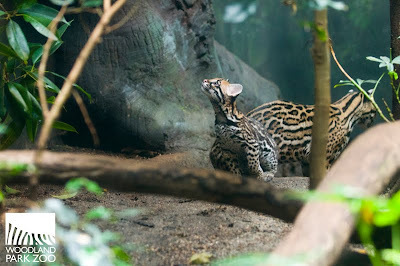 Exhibited in the award-winning Northern Trail exhibit at the zoo, Natasha is the female of a breeding pair acquired in 2010. Steller’s sea eagles are among the largest and heaviest of the raptor family, and Natasha weighs in at 13 pounds with a wing-span of over 6 feet! 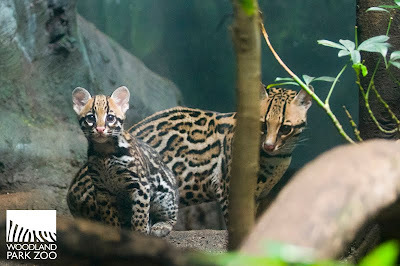 On the morning of March 22, Natasha (pictured in the background above) was found on the ground of her zoo enclosure. She appeared to be having difficulty maintaining her balance and was holding her wing lower than normal. Zookeepers quickly alerted the zoo’s veterinary staff of their observations, and preparations were made for a physical examination. 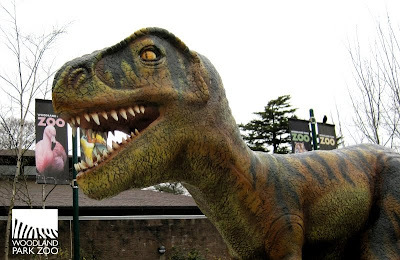 Natasha had come to Woodland Park Zoo with an existing right wing abnormality from a previous injury sustained several years ago, and had been living quite successfully with her disability. 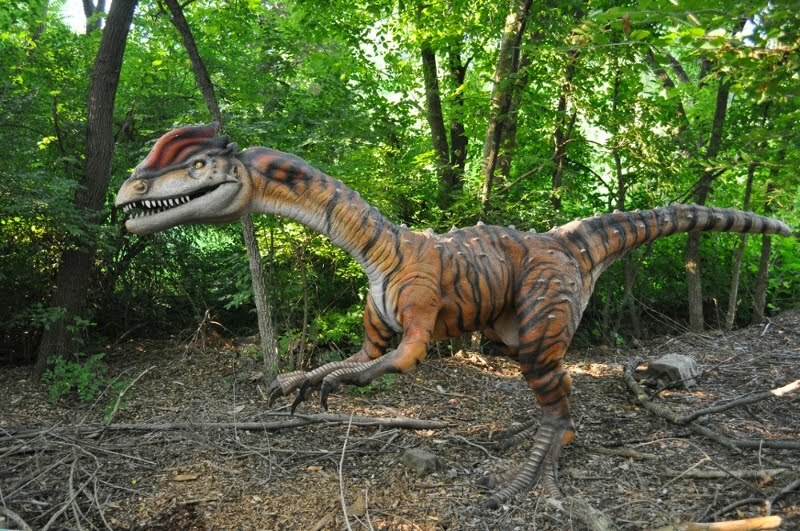 She was navigating her zoo enclosure with minimal difficulty given her limited flight capability and mostly moved from branch to branch with short flights. Speculation was that this new injury could have been the result of Natasha falling from a higher branch. After examining the eagle and taking X-ray films at the zoo’s Animal Health Complex, Dr. Collins determined that she had fractured her humerus (equivalent to the human upper arm bone) and would require specialized surgery. Natasha was given fluids and pain medications and stabilized overnight while appropriate preparations were made to transport her to Animal Surgical Clinic of Seattle. 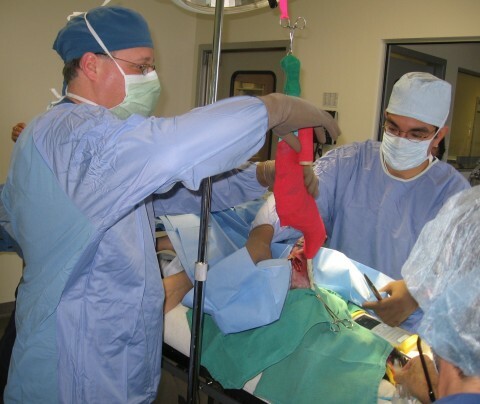 Upon receiving the news of the injury, ASCS board-certified surgeon Dr. Alexander Aguila swung into action. 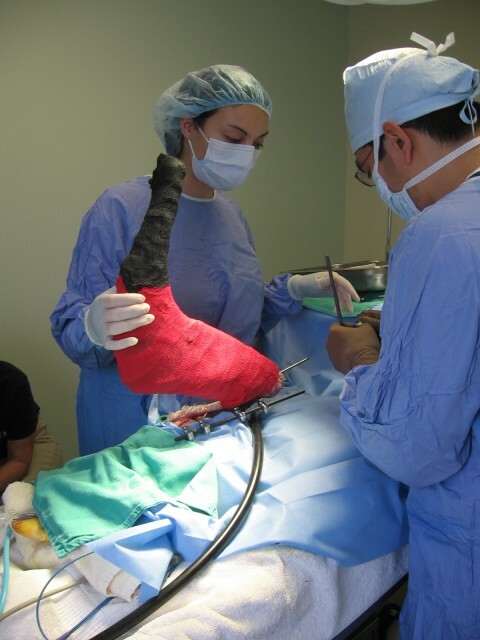 He and Dr. Collins collaborated with Dr. Ricardo de Matos, an avian specialist at the Cornell University College of Veterinary Medicine, to form a plan of action that involved placing an external fixator system to stabilize the fracture during the healing period. Thanks to the knowledgeable zoo staff, Natasha’s transport to ASCS and her subsequent anesthesia went very smoothly. Zoo and ASCS veterinary technicians worked side-by-side to place a breathing tube and IV catheter, as well as probes for monitoring vital signs. The surgical site was cleaned and Natasha was moved into the OR for her procedure. 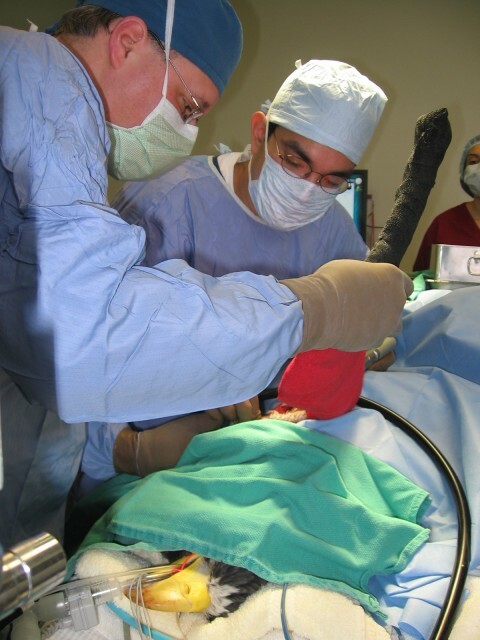 Dr. Aguila worked alongside another ASCS board-certified surgeon, Dr. Russell Bennett, to place the external fixator, with the help of surgical assistant, Dr. Cristina Flamini. Anesthesia and vital signs were monitored constantly by Dr. Collins, and in just over an hour, the surgery was complete. 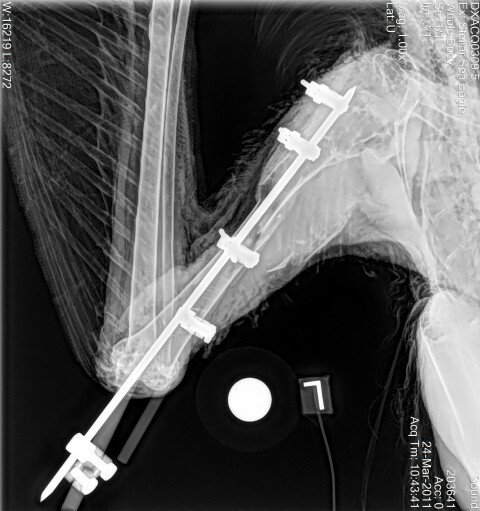 Post-op X-ray films showed good positioning of the fixator and Natasha was removed from anesthesia. 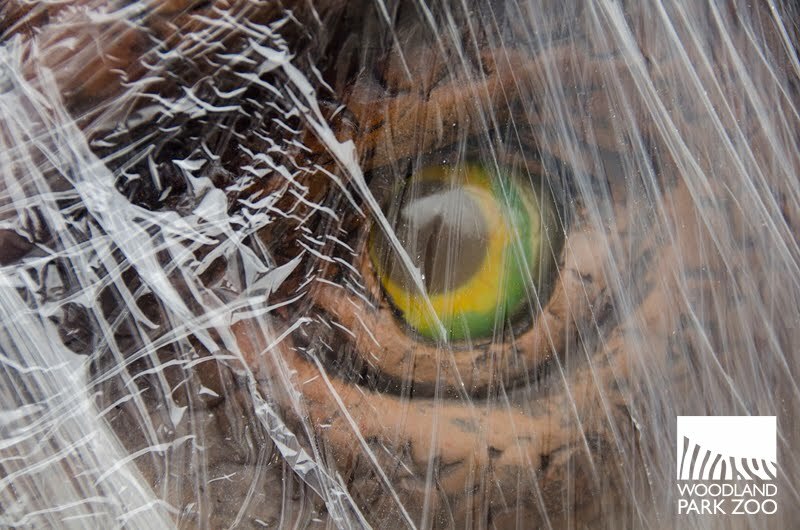 After placing a leather hood over her eyes and wrapping her securely, zoo staff transported her back to their Animal Health Complex, where her recovery continued uneventfully. Natasha is doing very well now and her open wounds are beginning to close. Recheck X-rays are due at three weeks post-op to verify progress of healing, and again at six weeks to ensure completion of healing before removing the external fixator. The zoo vet and keeper staff members are keeping a close eye on her, and we expect an excellent outcome! 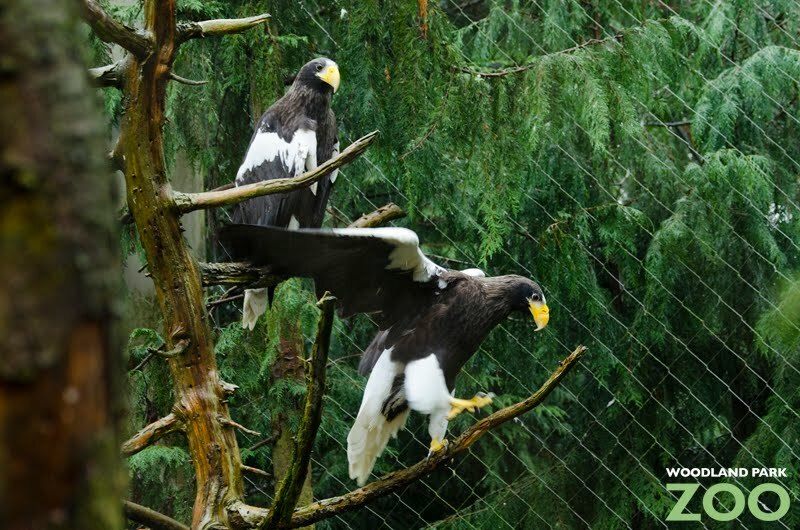 Thanks to the collaborative efforts between Woodland Park Zoo and Animal Surgical Clinic of Seattle, zoo-goers can continue to be inspired by this majestic conservation ambassador for the Steller’s sea eagle species. Photos: Sea eagles at Woodland Park Zoo by Ryan Hawk/Woodland Park Zoo, Surgery photos courtesy of Animal Surgical Clinic of Seattle. 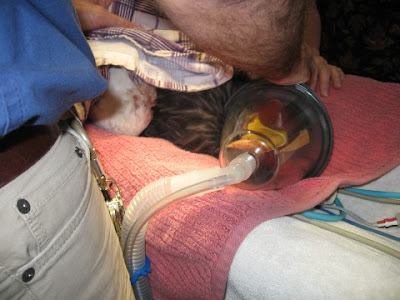 This blog post originally appeared on the Animal Surgical Clinic of Seattle website. 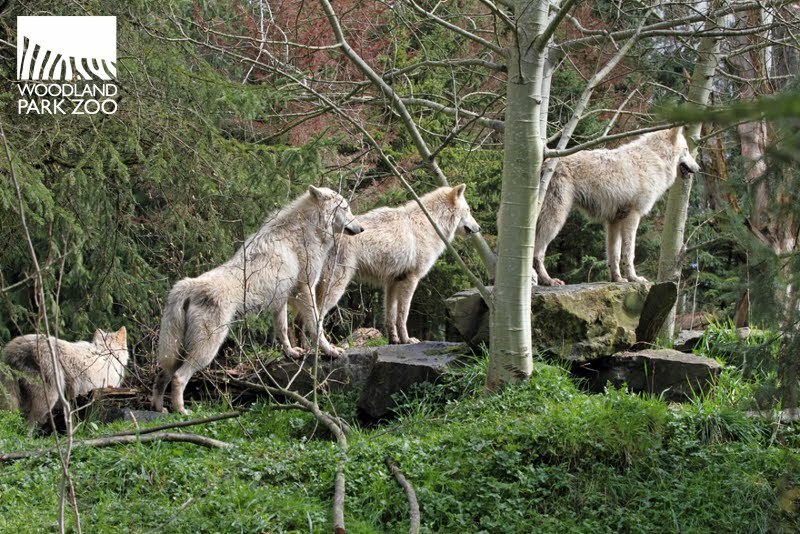 The sound of howls and yips may be heard through the zoo as a pack of 1-year-old gray wolves explore their new home in our award-winning Northern Trail exhibit. 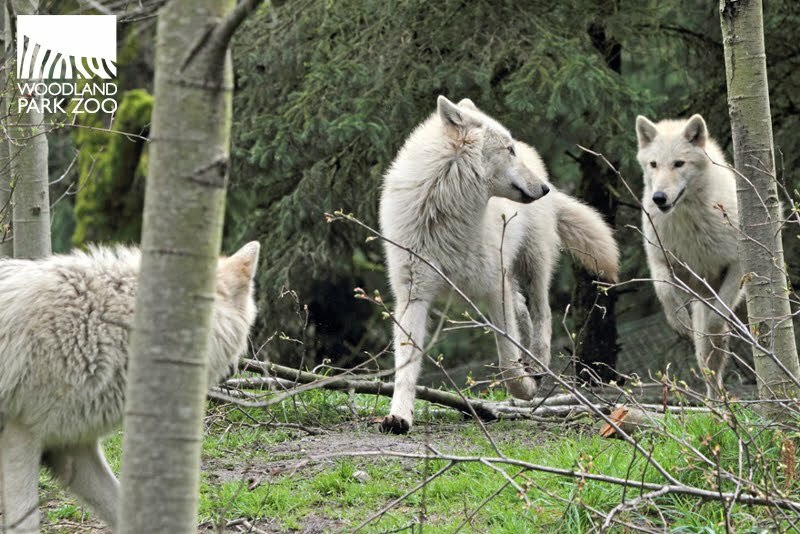 The four canids, all female, were born at New York State Zoo and arrived at Woodland Park last September. After a 30-day standard quarantine, the wolves have spent the last several months in an off-view enclosure getting acclimated to their new surroundings and routine. 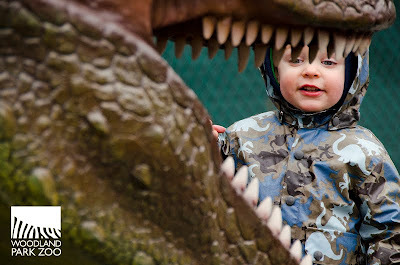 Last week they took their first steps out into their exhibit at Northern Trail and have adjusted well. 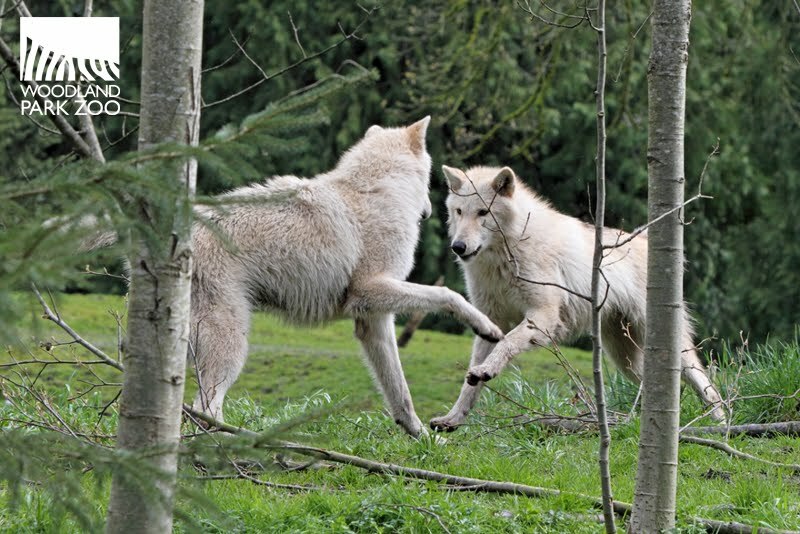 The wolves are conservation ambassadors representing the complex and volatile story of the return of the wolf to Washington state and the challenges their endangered cousins in the wild face. 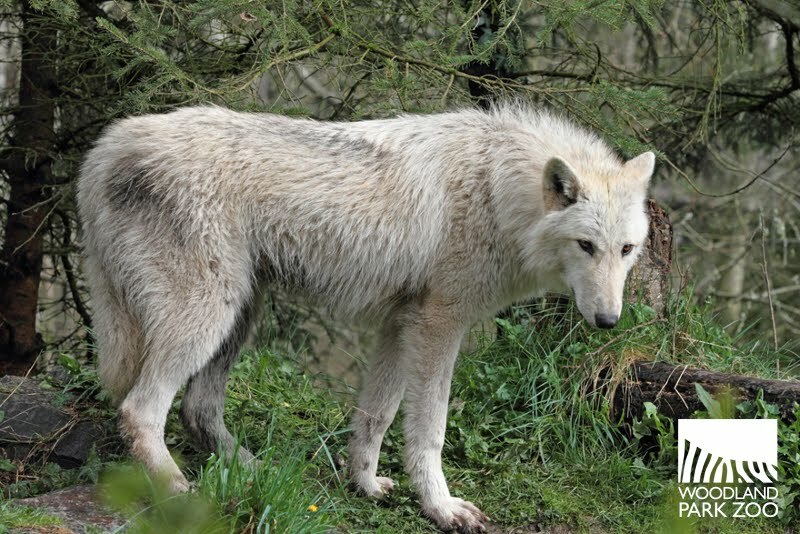 Although the wolves are nearly full grown, ranging from 75-85 pounds, they are young and still very curious and active. The best way to observe them is to stand quietly and watch the natural behaviors of a wolf pack. They are hierarchical by nature and you’ll be able to pick out the alpha female by watching her behavior. 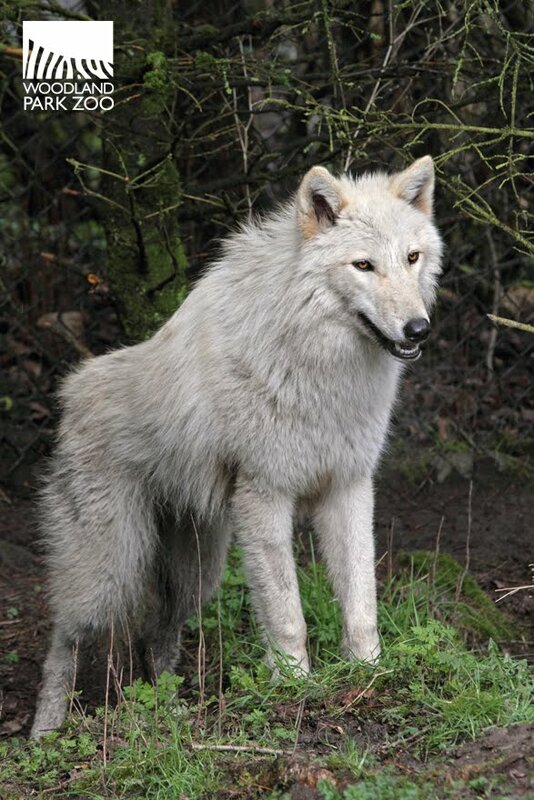 She is playful but also the most relaxed, so you’ll see her at the top of the exhibit while the most submissive wolf spends much of her time at the lower part of the exhibit. In their Northern Trail exhibit, you’ll be able to spot the wolves in the foreground and elk in the background, demonstrating a predator-prey relationship. The elk add daily enrichment for the wolves. The elk actually venture down to the fence line and stand nose to nose with the wolves. 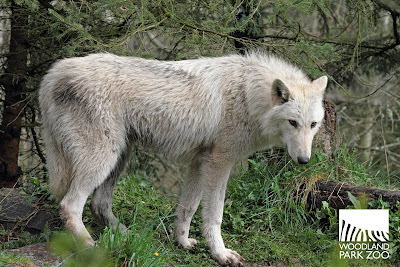 Before the young pack moved in, a 16-year-old female was the zoo’s sole remaining wolf in the exhibit after her male companion died a couple of months ago from geriatric-related health issues. Since introducing an elderly wolf to a young pack is not possible, she was moved to a retirement enclosure that is off view to visitors. Her keepers tell us that she is already adjusting quite well to her retired status and likes lying on a rock overlooking lower Woodland Park. The gray wolf (Canis lupus), also called the timber wolf, is listed and protected as endangered under the federal Endangered Species Act and by the state of Washington. Wolves have been hunted almost to extinction in the U.S. with the exception of Alaska and Minnesota. One of the most feared and controversial animals of our time, wolves generally hunt in packs and are an important northern predator. 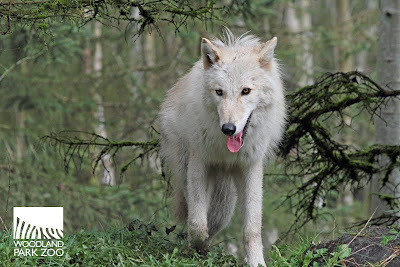 State and federal wildlife authorities are monitoring the activity of resident wolves to learn more about their use of habitat and to reduce potential conflicts. We have had wolves at the zoo for more than 60 years. 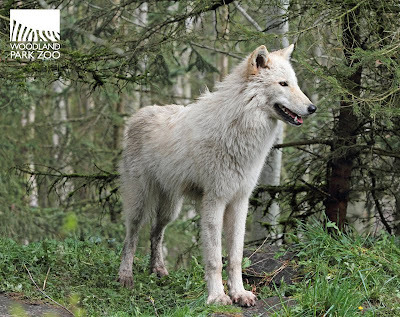 Given the rising political pressures and increasing conflict between wolves and people in the Northwest and Northern Rockies, it’s important for people of all ages to connect with wolves at the zoo and learn about the challenges these predators face in the wild, the unwarranted fears and their contribution to our ecosystems. Learn more about wolves at our annual Bear Affair and Big Howl for Wolves conservation education event on June 4. 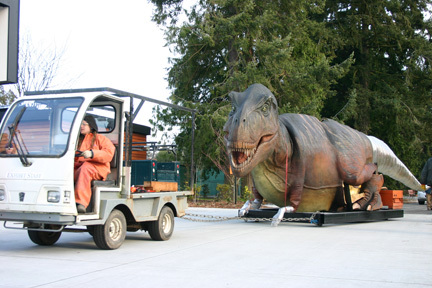 Edmontosaurus, Brachiosaurus and Styracosaurus took a long road trip from Texas this weekend and arrived at the zoo this morning to check out their new summer digs. 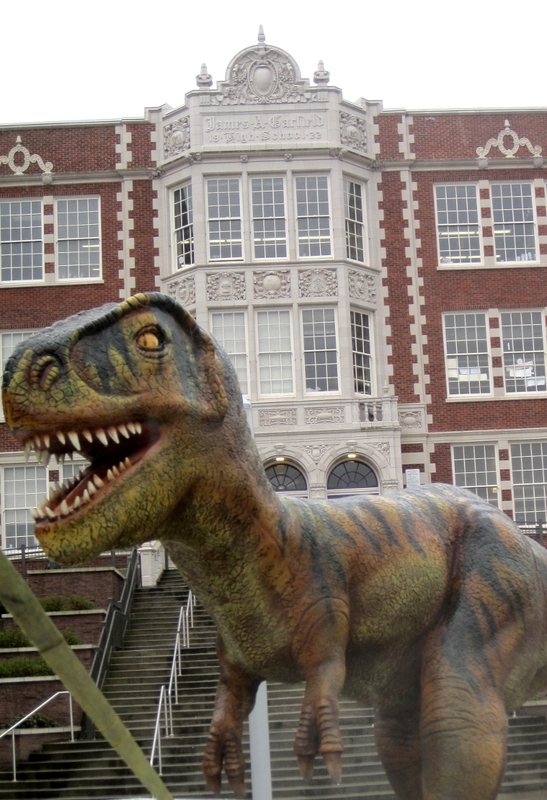 They’ll be joined by Tyrannosaurus, Dilophosaurus, Parasaurolophus and Euoplocephalus arriving tomorrow. 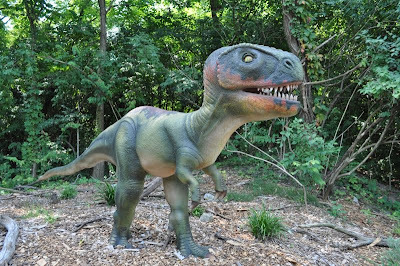 Then we’ll spiff up the place, do some planting over the next few weeks and have the exhibit ready to welcome guests come April 30 when our Dinosaurs exhibit opens to you all! As we unloaded today the animatronic dinos that move, snarl and hiss, zoo visitors couldn’t help but crowd around to see the new arrivals. While our keepers spend a lot of time using operant conditioning to train our animals to respond to cues and shift between areas—allowing the animals to be active participants in their own care—we found the easiest way to coax a hefty Edmontosaurus into a spot where you want her is just to use a forklift. Styracosaurus and Edmontosaurus took the road trip up to Seattle with their young ones, including these peeping Edmontosaurus hatchlings. 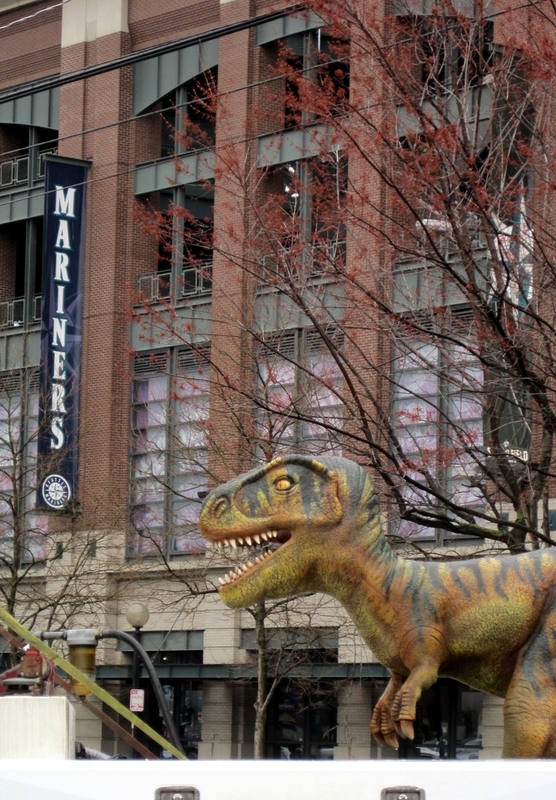 They have all settled in quite nicely at the zoo…well, all but one. If you spot him, say hi! Top photos by Ryan Hawk/Woodland Park Zoo. Bottom photo by Monica Lake/Woodland Park Zoo (aka Li'l T wrangler).